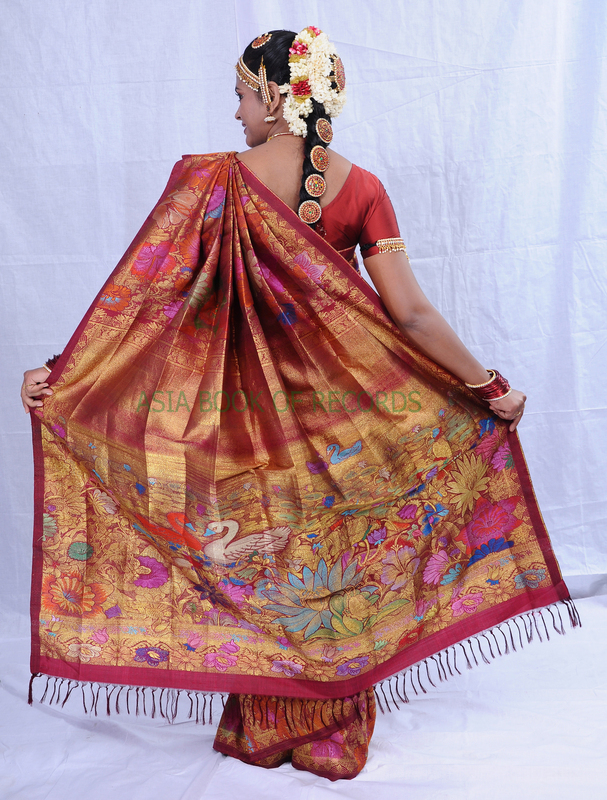 P. R. Subramania Chetty & Corporation, Tamil Nadu (India), manufactured a handloom silk sari (sari is the native clothing for women of the Indian Subcontinent) by using 1, 46,600 punched design cards and 1,920 hooks and illustrated 32 natural shades, within a duration of 1 month. This silk woven sari, which costs Rs. 1, 50,000 INR (2695.4250 USD), measures 5.92m in length, 124.5cm in width and weighs 1,440gm. Comments for SARI CREATED WITH MOST NUMBER OF HOOKS AND DESIGN CARDS are now closed.